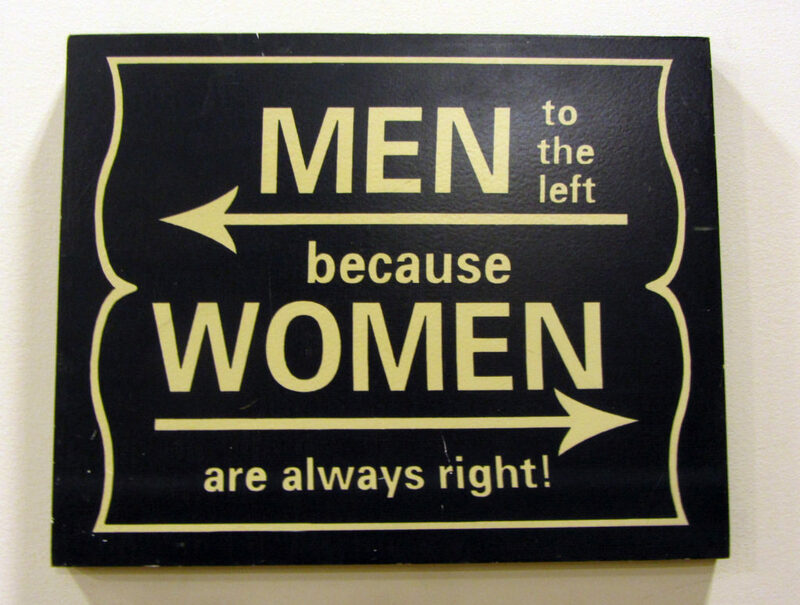 March 8th is International Women’s Day (IWD), a day to celebrate women’s rights and gender equality around the world. The history of IWD can be traced back to the early 1900s when women around the world began to fight for their collective rights, including the right to vote and the right to not be discriminated against based on their gender. In 1975, the United Nations officially adopted March 8th as the international day for commemorating women’s rights and world peace, having official UN themes to celebrate every year since 1996. And, while it might not be evident at first glance, the craft beer industry has helped women fight for their rights by reclaiming an old tradition that became lost over the centuries. In ancient civilizations, women were almost exclusively the brewers of beer. But with the industrial revolution, mass production, and a one-sided marketing strategy that featured men, the beer industry alienated women and their long history of brewing slowly faded. Until the rise of craft beer, that is. As more women and men continue to join the fight for gender equality, greater inclusiveness, and a push for more diversity in every workplace, women are returning to their brewing ways and this trend is particularly evident in BC’s craft breweries. Spotted at Victoria Caledonian Brewery & Distillery. We’re fortunate enough to live in a part of the world where gender doesn’t play as big of a factor when it comes to opportunities and so our observance of International Women’s Day might seem less important than it actually is. After getting to know a little bit about ten women who brew professionally in the Victoria and Vancouver areas, I can see we’ve come a long way since IWD began, even though we’re not quite there yet. In an effort to get a sense of their experience, I asked these brewers questions about their origin stories within the craft beer world to see where their love of beer came from. Some of these women have been interested in (and working with) beer for many years, while others are just starting their careers in the industry after deciding to pursue their passion. Some have formal training and some learned the skills they needed through hands-on experience on the job. I also asked each of them questions pertaining to their specific experiences as women in a still male-dominated industry. And I was happy to hear that, for the most part, their collective experience has been a great one! Even though most of them could point to instances where their knowledge or skills were questioned, and quite a few of them had stories about misplaced offers to help them lift a keg or bag of grain, almost all of them said that they feel like brewers that happen to be women and that their gender has rarely been a contentious point within, or outside of, their job. And that’s definitely something to be grateful for in a world where not every woman can say the same. So, without further ado, here’s a brief introduction to some of the women brewing BC’s craft beers. Julie Lavoie has been working in the craft beer industry for around seven years, half of which she’s spent as Mistress of Mash at Driftwood Brewery in Victoria. She is one of the original co-founders of Victoria Beer Week (going on right now!) and has been a dedicated part of the local craft beer community. Julie began her career in beer by initially volunteering for various organizations like CAMRA, BrewVic, BC Craft Beer Month, and the Great Canadian Beer Festival, running their social media channels and doing some graphic design work before taking on a permanent role as brewer at Driftwood in 2014. She’s been excited to see the industry change and grow over the years and is especially thankful for the contagious passion it brings out in people, a passion that she shares at every meeting, event, or batch of homebrew she takes part in. Another pillar of Victoria’s craft beer community, Kala Hadfield seemed destined for a career in beer. Daughter of Paul Hadfield, architect and owner of Spinnakers Brewpub, Kala has spent a lot of time working around beer. She started out at the front of the house, serving and bartending, before making her way to the back of the house in 2010 to brew the beers she wished Spinnakers was brewing. At that time, there were almost no women in the industry and she’s been pleased to see the growth in female presence over the past few years as craft beer in BC has boomed. While she’s more focused on the cider side of Spinnakers these days, she still loves to be part of a creative brew day, often using pub-style food and cooking as a source of inspiration for new flavours. For those looking to get into brewing, Kala suggests getting involved with the local craft beer scene and dabbling in some online courses for background knowledge into the science behind making beer. She recommends doing the heavy lifting, both literally and figuratively, by putting in the work and not being afraid to start at the bottom of the ladder within a brewery. Working alongside Kala, Lieve Peeters is a Belgian native who has brought her expertise of Belgian-style beers with her to Canada. At Spinnakers since June of 2017, Lieve is planning to add more gueuze beers, her specialty, to the brewpub’s lineup; she is currently managing the development of a barrel-aged beer program. Beginning her career in beer at the front of the house as well, working as a bartender and server, she formalized her interest in making beer by completing a one-year university program in malting and brewing technology in Belgium. While she’s had to adjust to the equipment and processes used to brew the different styles that are more well known and popular here, she is looking forward to using her knowledge of biochemistry to recreate more of the sour styles that her home country is so fond of. Lieve echoes Julie and Kala in saying that the world of craft beer lacks the feminine glamour that other industries might offer women. Be prepared for an active, physical job and be ready to spend your days in overalls and gumboots inside a cold fridge if this is a career you’re interested in pursuing. Jordyn Godin is originally from the Calgary area, but moved to Victoria to study biology and gender studies at UVic. 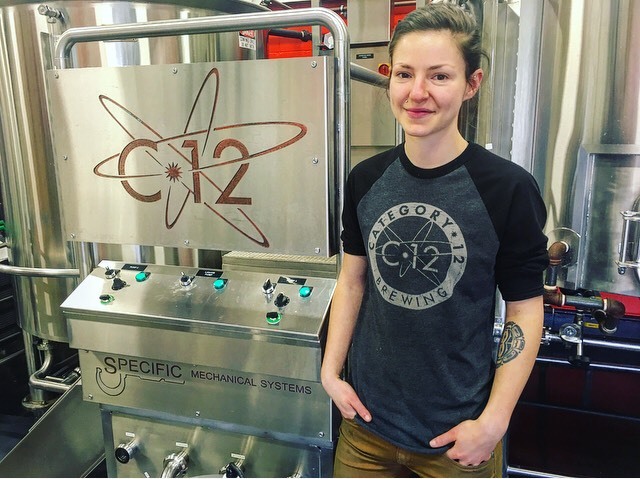 After some persistence and a steep learning curve, she began working at Category 12 Brewing with homebrewer-turned-brewmaster, Michael Kuzyk, and the rest of the C12 team just over a year ago. Since she previously had no formal experience or training in brewing, her background in biology proved very handy as the team trained her up on the details of the brewing process. She uses this knowledge to do a lot of the lab work at C12, regularly testing brew batches to ensure top quality. Jordyn is thrilled to see more women get involved in what is still seen as a career predominantly for men and she encourages those that are interested in entering the world of craft beer to be persistent in their goal by not being afraid to take up space or have their voice heard. Lisa Drapaka also came to Victoria from Alberta just over a year ago. She was the only woman in her graduating class at the Olds College Brewmaster & Brewery Operations Management program. Lisa began working with beer about four years ago, doing cellar work and packaging in various roles at brewhouses before becoming head brewer at Situation Brewing in Edmonton. 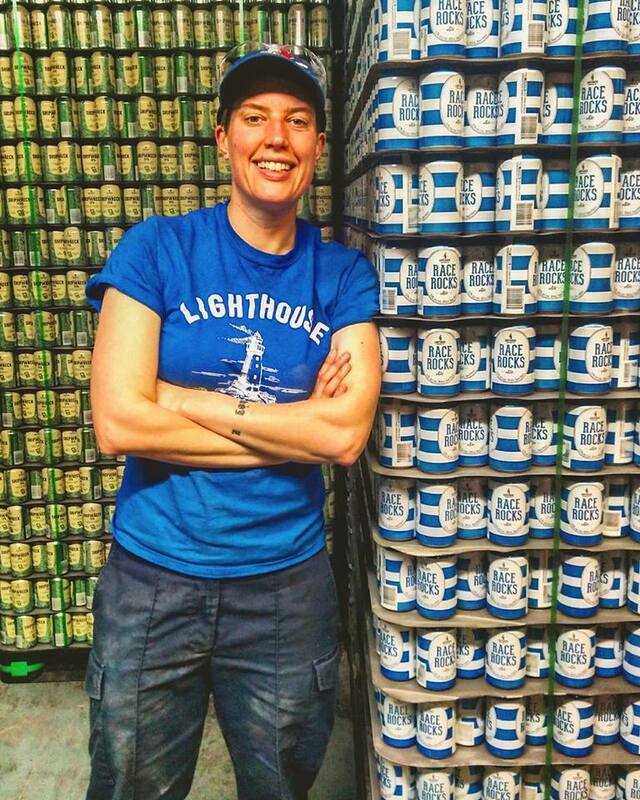 She made the move to BC and joined the Lighthouse Brewing team in 2017, but her love for beer was evident long before she pursued brewing as a career. She’s even done a cross-Canada road trip which took her from Tofino to Halifax, stopping at craft breweries en route to taste the various styles on offer from coast to coast. A lot of Lisa’s inspiration for brewing comes from classic beer styles that are made from just a couple of grain and hop varieties, adjusting her recipes based on the flavours that she wants to see highlighted in the final product. She loves the creative aspect of brewing, as well as the science behind it, and is happy see more women become part of the craft beer world as it continues to expand into more regions, including her home province. Nicole MacLean hails from Scotland and ended up falling for the world of craft beer during a temporary stay in Vancouver. 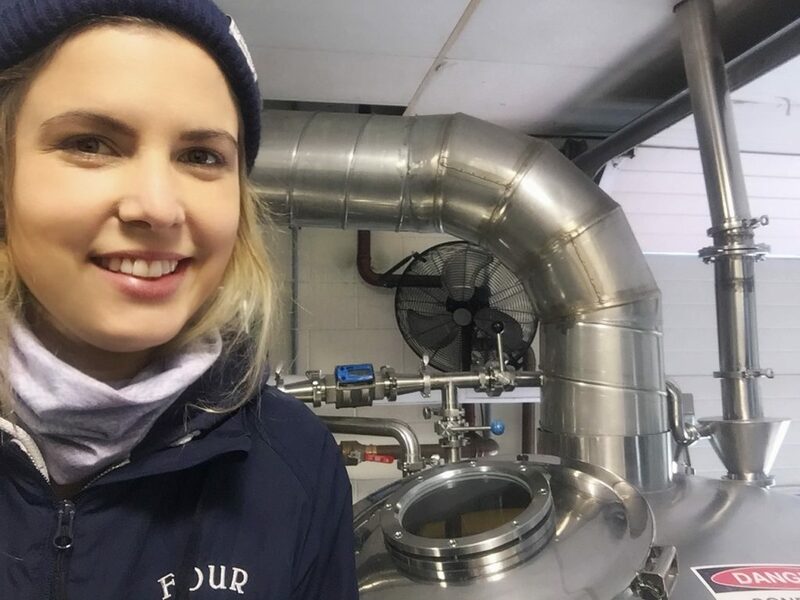 After returning to her native country, she began studying environmental sciences which further propelled her interest in the biochemistry behind the brewing process. She experimented with homebrewing to see if this was a career path she wanted to pursue and she began working at BrewDog in Scotland before eventually making her way back to the west coast of Canada. Nicole has been in the industry for around five years now and was part of the Driftwood Brewery team for a year before becoming head brewer at Twa Dogs Brewery. Twa Dogs Brewery & Victoria Caledonian Distillery offers a unique combination of beer and whiskey in one space, allowing Nicole to blend her history in Scotland and Canada into a career that she feels right at home in (with multiple Scottish accents floating around the brewery and distillery to boot!). She’s been pleased to see more women working with beer, especially when comparing BC’s craft beer scene to that of the UK’s, and is glad that the sexist marketing in the beer world is becoming a thing of the past as more women discover, enjoy, and pursue their passion for craft brewing. Claire Wilson is another Scottish transplant and is one of BC’s more well-known craft beer champions. She became a brewmaster at the age of 26 after completing a brewing and distilling program at Heriot-Watt University in Edinburgh. Claire moved to Canada and opened Dogwood Brewing, Vancouver’s first organic craft brewery, with her husband in 2015. 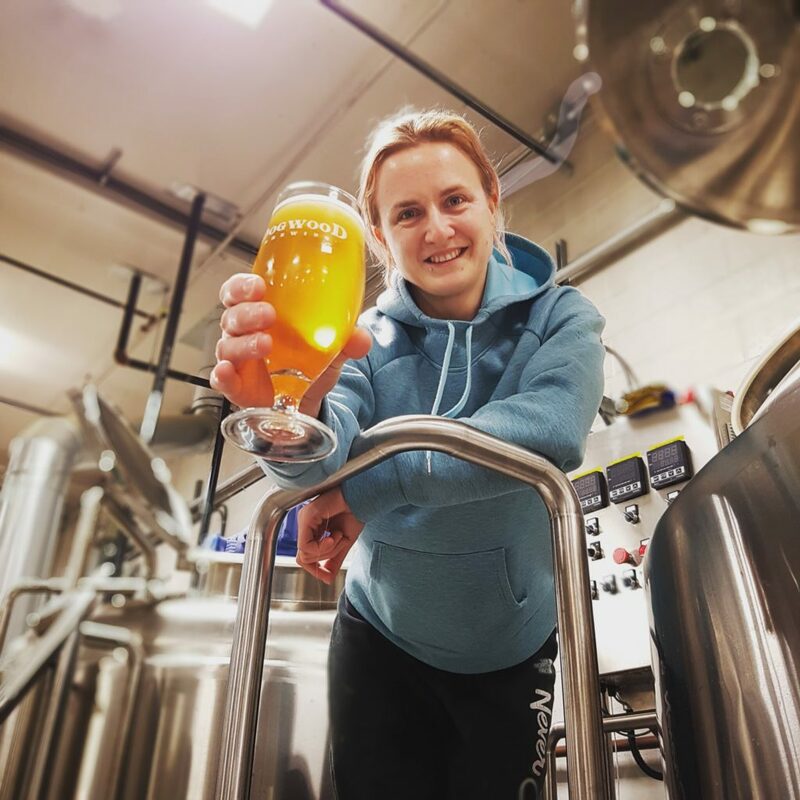 Kathrin Mentler started her career in brewing at a brewery in northwestern Ontario in May of 2016. 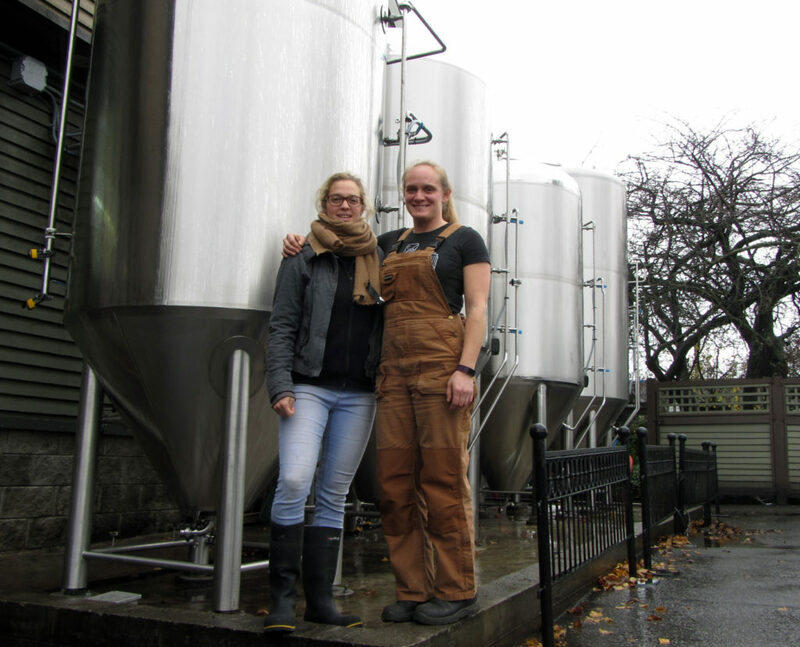 She began working in a small (all male) team of five, learning about the various aspects of production and brewhouse operation before moving to BC in the summer of 2017. 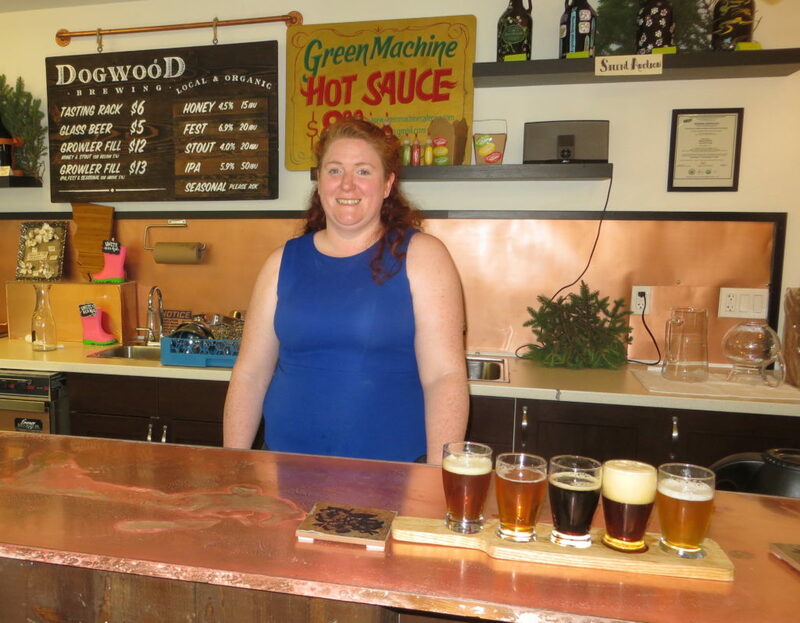 Working at Dogwood Brewing alongside Claire, Kathrin’s been able to really embrace the move west and is pleased to see how many more women have joined the industry since she began just a couple of years ago. 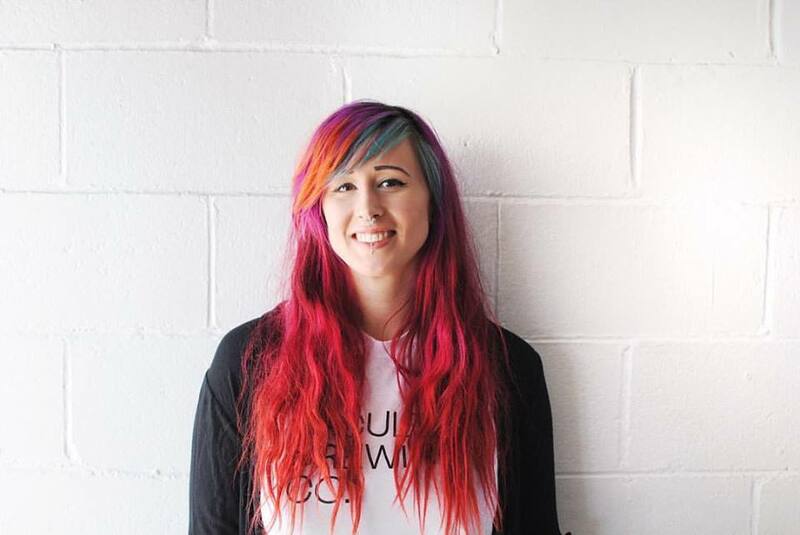 Kathrin hopes that diversity will play a big role in shaping the future of the craft beer industry with more women, as well as more people of colour, being represented within breweries and at beer-related events. 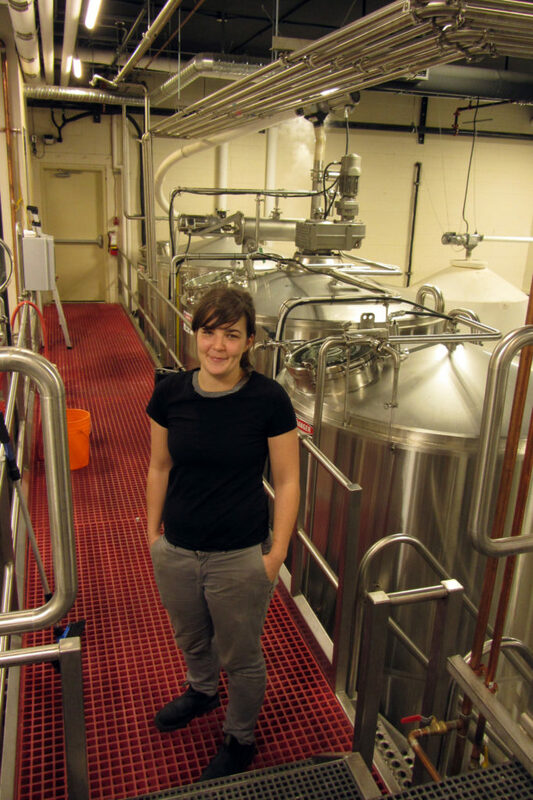 Jacquie Loehndorf began her career in brewing recently, joining the Faculty Brewing team while finishing the Brewing and Brewery Operations program at Kwantlen Polytechnic University. Her passion for beer began in the front of the house as well, working in the service industry and wading into the various beer styles and flavours there. Studying science at UBC originally, she was able to blend both passions by pursuing the brewing program to learn the technical things she needed to know. Jacquie’s excited to be a part of the Vancouver craft beer community, meeting so many helpful and knowledgeable people that have aided her in what’s been a steep learning curve. She echoes Kathrin’s experience, saying “There is no short supply of amazing and supportive women in this industry and it is awesome to see how much they want everyone to feel welcome.” For other women interested in pursuing craft beer as a career, Jacquie recommends talking to people working within the industry as they will be the best source of wisdom and guidance along the way. Similarly, Ashley Brooks studied microbiology at UBC and worked in the service industry for over ten years before making her own move to brewing. Enrolling in KPU’s brewing program in 2014 and simultaneously getting a job as an assistant brewer helped Ashley put her theoretical knowledge into practice. 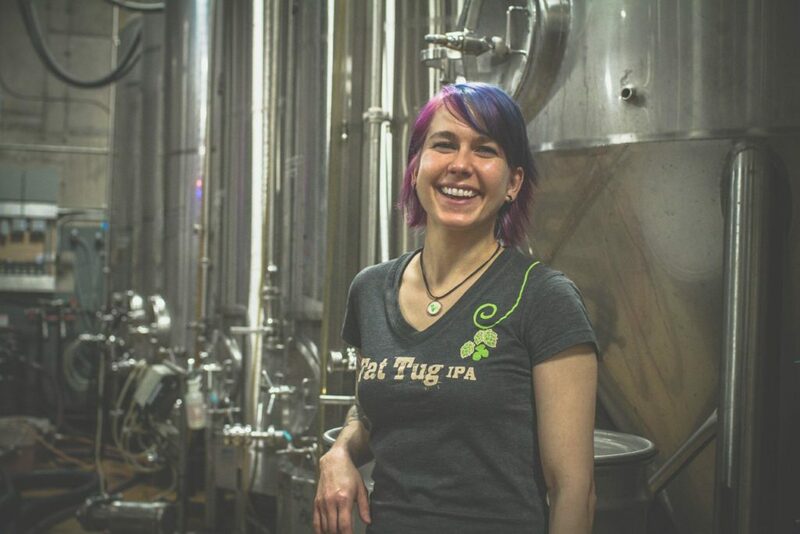 She was head brewer at Big Ridge Brewing before taking on her current role as Quality Control Supervisor at Four Winds Brewing Company. Living and working in a city like Vancouver where the craft beer culture is well established has made Ashley’s transition to brewing much easier. Like Jacquie, Ashley also recommends talking to people already working with craft beer and asking questions on brewery tours or at events to see if it’s a working environment that might fit. She’s looking forward to contributing her own knowledge and experience to a craft beer community that encourages more people to get involved. The ten women I had the pleasure of talking to had a few things in common. They were all, evidently, lovers of beer, they all had an interest in the science behind brewing, and they are all happy to be a part of a craft beer community that’s full of knowledgeable people that help each other out wherever they can. They also all recognize that their experience as women in a (still) disproportionately male industry has been, by and large, a positive one, which is something that not every woman can say in their profession. Although there have been hiccups in their respective journeys, every woman has said that persistence and hard work pay off, and that, if you want to work with beer, there is plenty of opportunity to do so as long as you keep trying to pursue your passion. Most of these women recommended starting small, experimenting with homebrewing, taking some classes, and attending craft beer events or visiting breweries to talk to people already in the industry before jumping in head first. Many of them also highlighted the physical, ever-changing, and challenging aspects of this job and suggested being fit enough to lift a full keg and having some background knowledge of the science behind brewing for those looking to make their love for craft beer into a bonafide career. Of course, there are many other women that work in and support the craft beer industry in other roles. From managing breweries, to marketing and selling craft beer, to organizing and attending beer-related events, they are all helping rebalance beer-lover demographics in an effort to make this industry an even more inclusive and welcoming one. Thanks to all of these brewers for taking the time to talk to me about their experiences. And a big “Cheers!” to International Women’s Day, to these great women, and to this exciting industry that’s embracing equal opportunity in our little corner of the world.